It feels like yesterday that I wrote 2013’s review. Enter, February 2014. Really? January went…where? 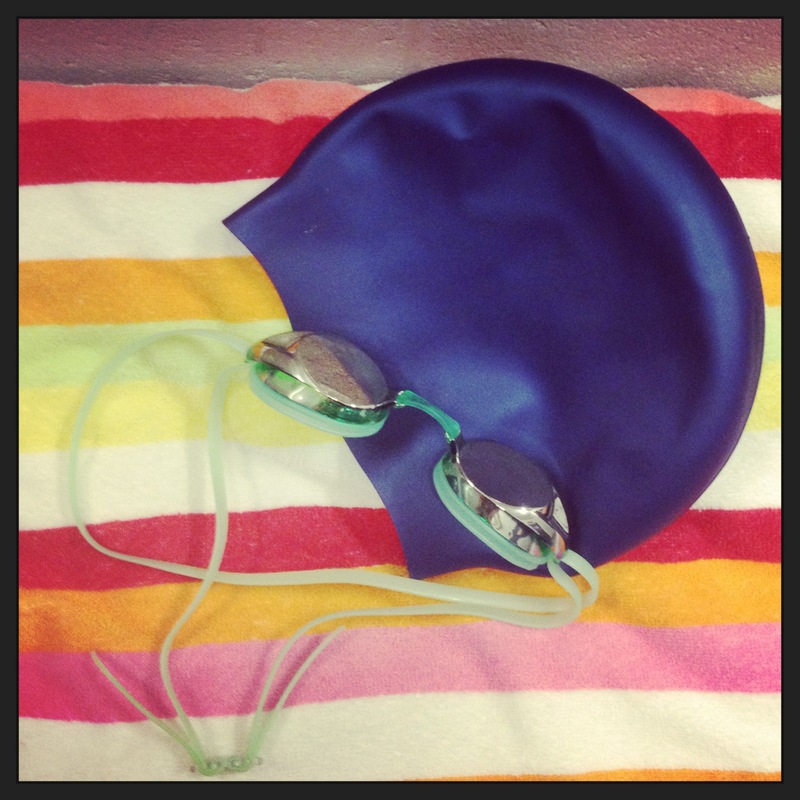 The same old same old here…work, school, work, school…signing up for races! This girl needs some motivation. I have done fairly well with cross training this never-ending winter. I’ve spent quality time on Lexa, more time than I care to spend on the treadmill (however, Netflix has made it a little more bearable! ), and a little more time squatting and lifting light weights. Oh, and the pool. I’ve been trying to make weekly visits to the pool! Which by the way, they now have water jogging belts!!! February 16th will be our local 4 mile Freeze Your Caboose Off…yes, I actually feel like I do freeze mine off each year I run this. May 25th I have potentially planned to run the 20 mile run that is part of the Med City Marathon in Rochester, MN. However, I have a cousin getting married and another cousin graduating high school in ND that weekend. I will do the run if we don’t go to ND. 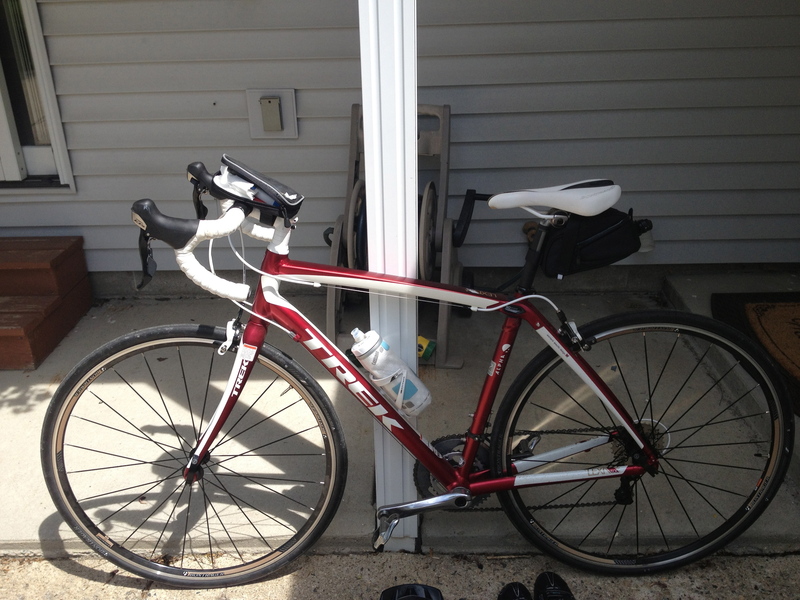 June 22nd…yes, the day AFTER a marathon, I am going to attempt to participate in our local 2nd annual triathlon. It’s short. Very short. I think I can handle it. The Rail Run is also around this time as well. This is the 4 miler for our summer festivities in town that I try to participate in each year. August 15th and 16th will mark the Great River Ragnar Relay! My very first relay!!! 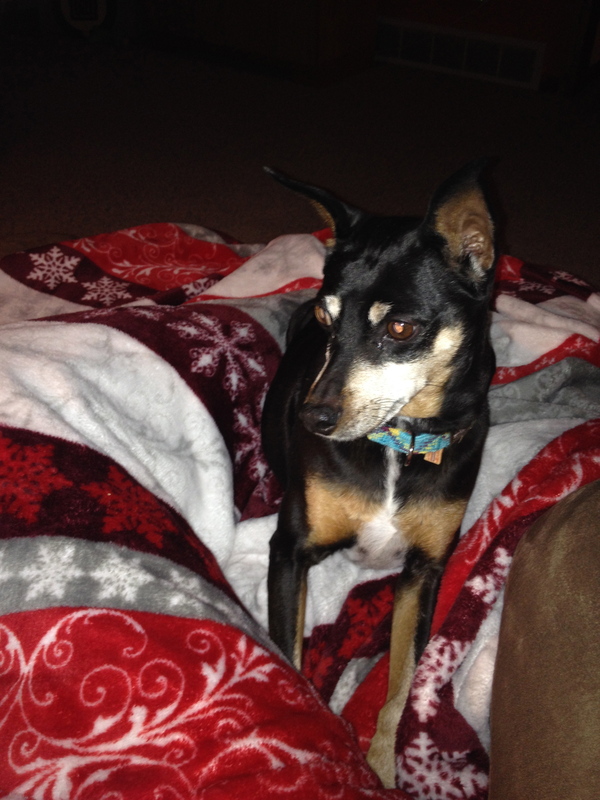 SO….if anyone has any advice, please share! I am beyond excited!! I know 1 person on the whole team, but I am really looking forward to the experience! October 4th and 5th is the whopper weekend…I am Loony. Make that Ultra Loony. I registered for the TC Ultra Loony Challenge. On October 4th I will run the 10K at 0730 and then the 5K at 0900. On the following morning I will line up and run the Twin Cities full marathon. YIKES. I’m scared, nervous, excited…and loony. After that weekend I will probably be in Indianapolis for a conference…and then I come home and will run the Mankato Half Marathon on October 19th! And last but certainly not least…I registered for the lottery for NYC Marathon on November 2nd. I am 99.9999% sure this will not happen because I probably won’t even get in. I’m sure there are a few local 5K’s I may participate in. I would also like to find another half mary to run as well. There is one in Milwaukee, WI in September that I would like to run. I might try to see if Hubs and his brother would like to run that one, and then of course refuel with some brews at the Brewer’s game, or the Miller Brewery. After the winter we’ve been having, I’d rather be in “No Snow Diego” right now! What are your race plans? Have you signed up for any races? Looking back on this year, some pretty amazing things happened. I will try to do a complete 2013 year in review! School is almost done for the semester so I should have time to actually write more. 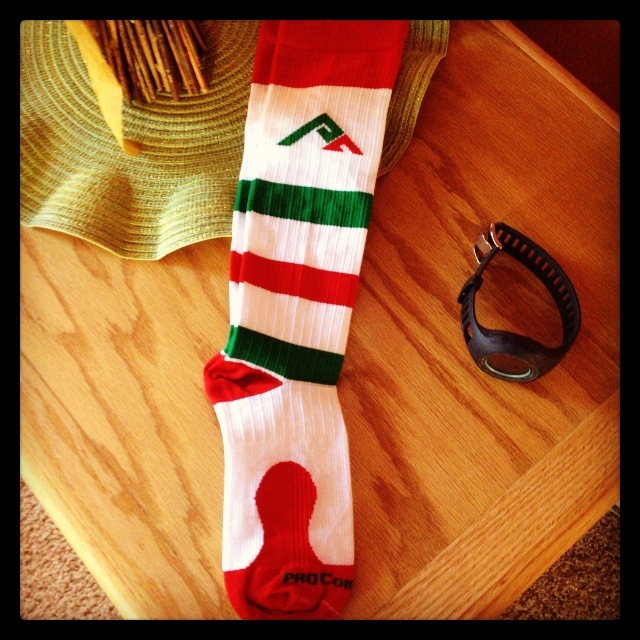 I had some races in mind for 2013 that I did not run, but they are on my bucket list and will eventually get crossed off. NYC Marathon, Marine Corps Marathon, Chicago Marathon, Big Sur Marathon, Boston!, and Twin Cities Marathon are all on that bucket list! I would love to travel a little more in 2014, even if they are driveable distances. South Dakota has a late Spring marathon in the Black Hills in June that I would love to run! There are also a few races within MN that I would like to run. Aside from the small, local 5k’s and such, 2014 races on my calendar radar are still up in the air. So, what I have planned so far, just haven’t registered yet include Grandma’s Marathon in June! This marathon is my favorite. I think just because it was my first half marathon race and my first full! You can read that recap here! Grandma’s Marathon is going to my goal race this year! I have yet to decide what training plan to follow. I would like to step up the training this time around so if you have any suggestions on good training plans, please let me know! Poster made with love by my nieces! The other race I am 95% sure I will run (if I don’t run I will volunteer) is the Mankato Half Marathon. This is a local race and I have participated or volunteered every year it has been going on. 2014 will be it’s 5th year already! I’ve run the half marathon race three times and I absolutely love, love, love this race! My 2013 recap is here! 2012 recap here! I will also be participating in the 2014 area triathlon. This is the same, local tri I did this year. It was also my first, and has me seriously considering longer distance triathlons! That recap is here! The only tricky part with this race is…it might be held the day AFTER Grandma’s…yep. You read that right. Call me crazy. The next CRAZY thing I am 90% sure about is new to me, and includes a race on my bucket list. So, this fall when all the cool bloggers were running the Runner’s World hat trick, I was a little jealous…I thought, well, I could do that! 5k and 10k one day, and a half marathon the next? No big deal. Aaaaaaaaand then I read about the Twin Cities Marathon Ultra Loony Challenge. (Get it….the Loon is the MN State bird!). There are two challenges actually. The Loony Challenge is the 10k, followed by a 5k the day before the TC 10 miler. The Ultra Loony Challenge is the 10k and 5k the day before the full marathon. Friends, I really really really want to do the Ultra Loony Challenge. I would not be running the full marathon for a time goal. I’ve heard amazing things about the entire course, and I want to soak it all up and enjoy the scenery. I was > > close to signing up for it…and I need to do it soon because there are a limited amount of spots open. So, hopefully by this weekend I will be signed up for that crazy challenge! Oh…and look what came in the mail today!!!!!!!!!!!!!!!!!!!! What races are on your running bucket list? Are you registered for any 2014 races yet? Good morning! I figured it would be best to get this down while it is still fresh in my head! 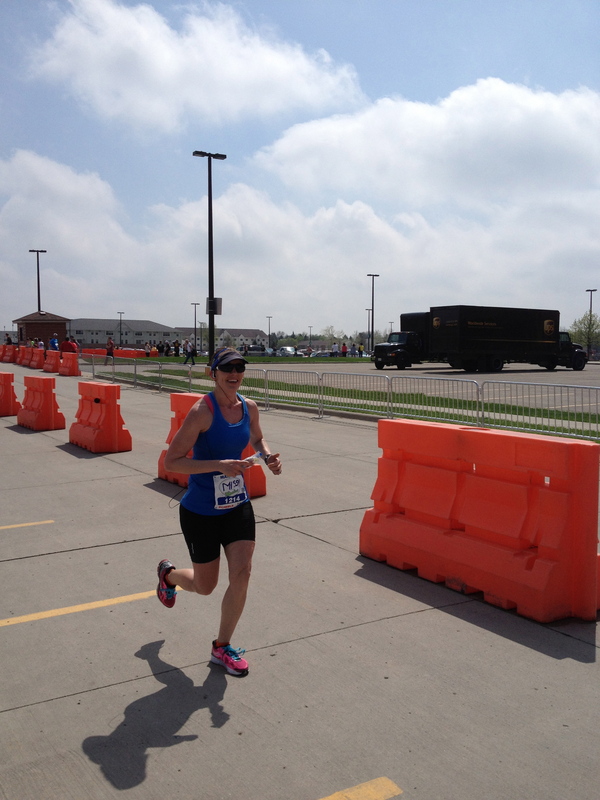 This past Sunday I ran the Mankato Half Marathon. I am proud to say that I have been a part of this race since the beginning…ok, so this was only its fourth year, but still. The first year I ran the half, the second year I volunteered as a bike medic, and the third and fourth years I ran the half. Yes, I plan to have some part in this race every year! Whether I volunteer or run. Either way, count me in. Moving on…Saturday I went to the expo with my sister. Nothing too exciting. It was small but nice. I think they do a great job! We stopped so she could look at the Scheels shop for a headband. Weather was supposed to be 36 at the start, 40 at the finish. We went to pick up our packets and race swag. We wanted to listen to one of the speakers Dr. Cindra Kamphoff. 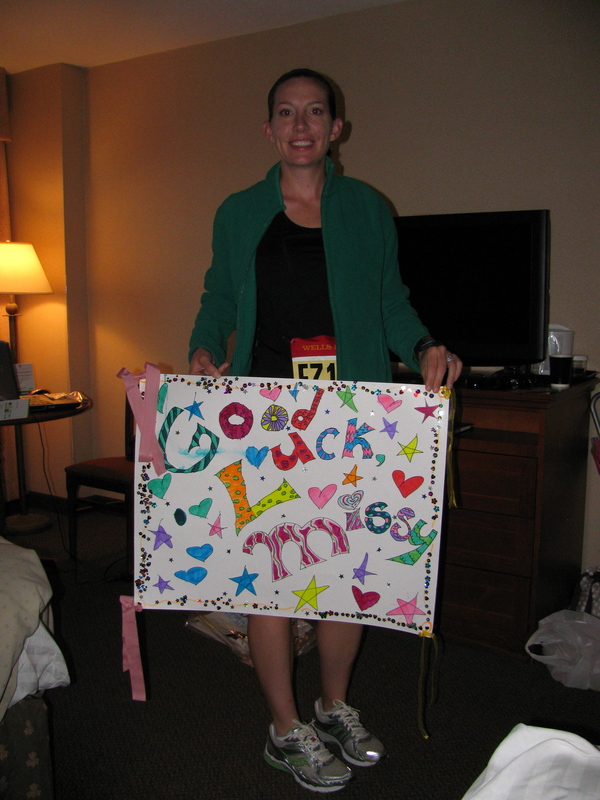 She is an amazing marathoner and a sports psychologist. She gave a great presentation on mental toughness and went through positive self talk. What a way to get positive for crappy weather and hills!! Embrace them, because you can’t change them! I am also a sucker for buying things at race expos. A Mankato Marathon coffee mug and a Punkeelove headband came home with me. Seriously, best headbands ever. They are adjustable and they do not slip. Every other headband slips off my head, but not these! We also ran into an older gentleman who has ran over 320 marathons all over the world!! What an inspiration! I asked if he was running the full. He said he doesn’t run full marathons anymore, but he was doing the half. He said “Just leave the lights on for me because I’m not speedy!” I wasn’t sure how old he was until I looked at some photos and captions. I saw the man and he is 88 years old! Amazing! 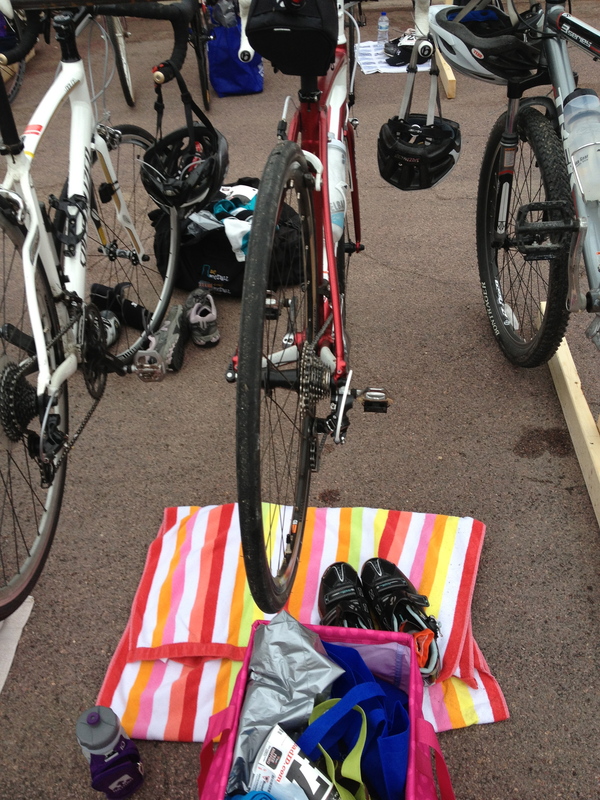 Ok Ok….time for the race. This was my best selfy at 0530am. My beautiful throw away outfit. My $2 thrift store wind pants from 1990 and a long sleeved white shirt I’ve had since 2003. Please don’t ask me why I remember the year and the place I got that shirt. It was chilly in the morning and I wasn’t really sure what I wanted to wear. It was either a long sleeved running shirt, or a tank with arm warmers. I opted for a throw away shirt over my tank and arm warmers. I also bought a cheap pair of gloves so I could ditch them later. Anyhow, there is plenty of parking downtown so I parked with zero problems, hopped on a shuttle and arrived at the starting line. I saw my sister, who was running the 10K and they started a half hour before the half and full marathon. We tried to stay warm until it was time for her to run her very first 10K!! I really had three goals for this race. Goal A. was a ridiculous ifeverythingfallsinplaceandifeelamazing goal. B. was finish better than last year goal. C. was just to finish. I knew the first few miles would be chilly with a head wind. I ditched the pants at the starting line (I should probably tell you I had shorts on under those pants!) and kept the shirt on for a few miles. I also wanted to start out slow and keep the first 3 miles at an easy pace, with the intention of the last 3.1 miles being faster. The first three looked like this…8:03, 8:12, and 8:24. Oops. The first mile I always go way too fast. I didn’t feel like I had to dodge so many people this time! The first three were cold. I almost regretted not wearing something a little warmer but I reminded myself that as soon as we turned out of the head wind I would warm up. I wanted to speed up after the first three, but I knew that I had a good downhill and some shorter, steep uphills to conquer the next few miles. Miles 4 through 9 look something like this…8:00, 7:52, 7:38, 7:49, 8:08, and 7:57. I felt really good through all of these miles. This course is really stunning. The fall colors and running on the Red Jacket Trail really makes the hills worth it. Now remember, my version of hill training (since where I run is all FLAT as a pancake), is wind training. So the wind ain’t got nothin on me! But those hills….This was my hill mantra, and yes, I did repeat it over and over…and yes, it worked wonders and got me through every single hill…”I eat hills for breakfast”. I remember hearing or reading it somewhere, but I have no idea where it came from. It came to me at the start, and it got me through to the finish. After mile 9 my quads were sore and my legs were really starting to get heavy. I was trying a new fuel strategy…during the half mary I usually take 3 Clif Shot Bloks at mile 6 or 7 and the other 3 at mile 10 or 11. I remember that not working so well during Women Rock so I thought I would try 2 at mile 4, 2 at mile 8, and 2 at mile 10 or 11. Well, I dropped one at mile 4. Took 2 at mile 8, and 1 at mile 11 because I almost choked on 1 and wasn’t sure how close I was to the water stop. Whoops. Next time I should probably plan that better. I really wish I could just swallow and not gag on GU’s. I may have to try them again. Anyhow, back to the miles. After mile 9 I thought to myself, “What?! Only 4 miles left? That is my normal easy distance. I got this.” I was feeling incredibly strong! As soon as I got into Sibley Park I knew there just a couple of short but steep inclines and then I could fly to the finish. Um….my legs had a different story. After I choked on the shot blok, I did go through a water stop and take in a Gatorade. I got to the next hill at about mile 11.5. I repeated my hills mantra, powered through, passed a guy (thought to myself, “You just got chicked….on a hill”), smiled, and embraced that I only had a little ways to go! My legs were tired, but my mind was going strong. The last few miles look like this…mile 10 was 7:43, 8:07, 7:59, 8:09, and the last .3 was 2:10 (7:22 avg pace). The last mile was the toughest. My legs hurt. I tried to push through that pain, reminded myself that it was temporary, and continued on. I tried to run fast to the finish but I just didn’t have much left in the tank. My mind was strong but my legs were about done. According to Garmy my time was 13.3 miles in 1:46:15 with an average pace of 8:00/min miles. Official time 1:46:18. Not my best, not my worst. 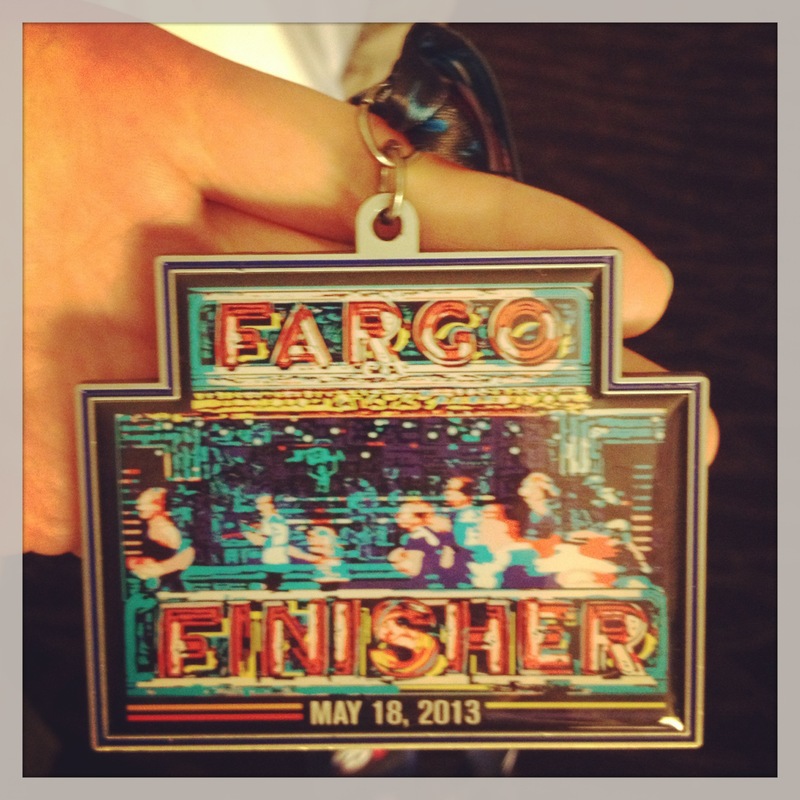 But, I beat last years time by about 5 minutes, and I finished! My sis snapped a photo of me coming into the finish! Photo credit to my sis. I am not the girl in purple on the right…But I am heel striking like a pro! I absolutely love this race. I love the course, the course support, and the volunteers. The local Center for Sports Psychology team does a great job. They have motivational posters throughout at least the half marathon (I have not done or seen the full course, so I cannot vouch for the first half), and they have people throughout giving great mental support. 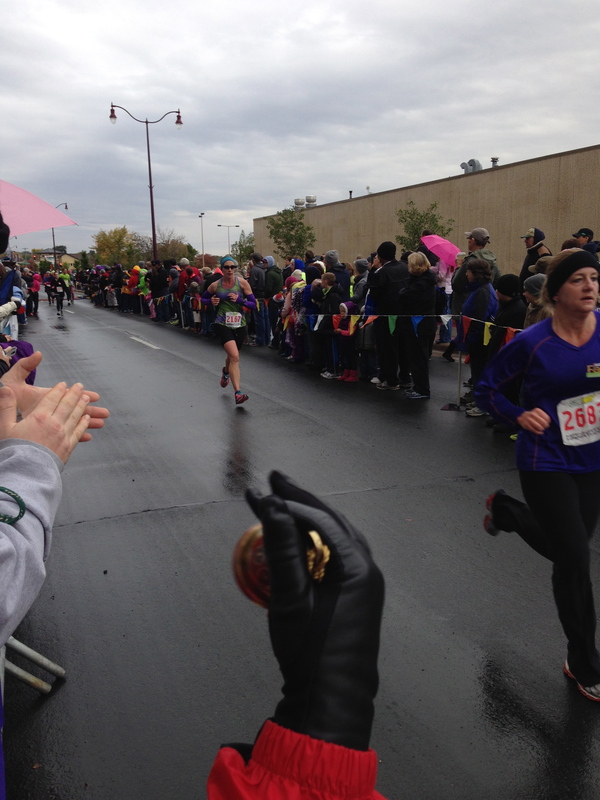 Great job Mankato Marathon peeps!! And I would highly highly recommend this small, local race to everyone! There may have been some pumpkin Cold Stone Creamery in there too…but no picture because I ate it too fast. Did anyone else race this past weekend?? Do you have any upcoming races? 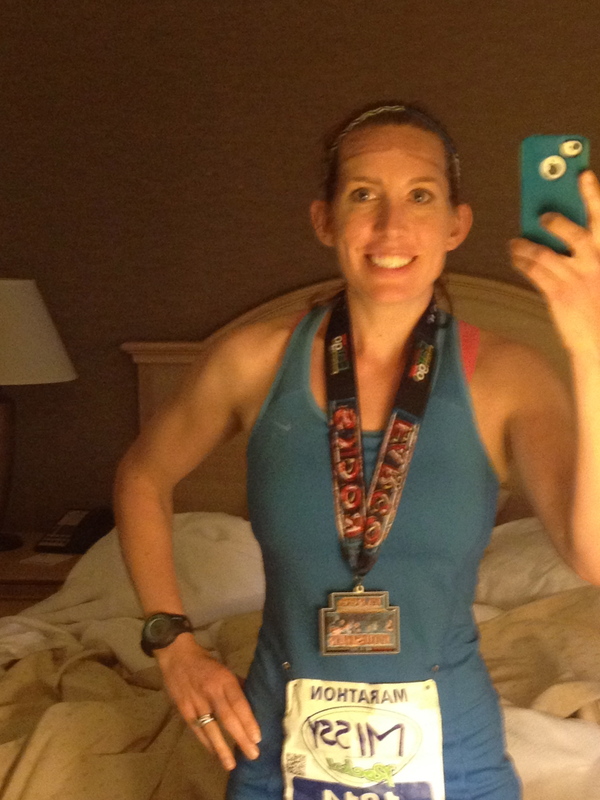 Almost two moths later, I finally have a Women Rock half mary race recap and review for you! Half Mary #6 is in the books. Thankfully this race was located about a two hour drive away. I booked a hotel room through one of the sponsoring hotels and Hubs was crazy tired when we arrived so I went to the expo while he napped. The expo was smaller than I expected! I walked around, bought a couple of things and headed over to pick up my race packet. The goodies for this race were pretty much the reason I signed up! They gave us a Women Rock jacket and a necklace with a tiny diamond and a ruby on it. This went pretty smooth. 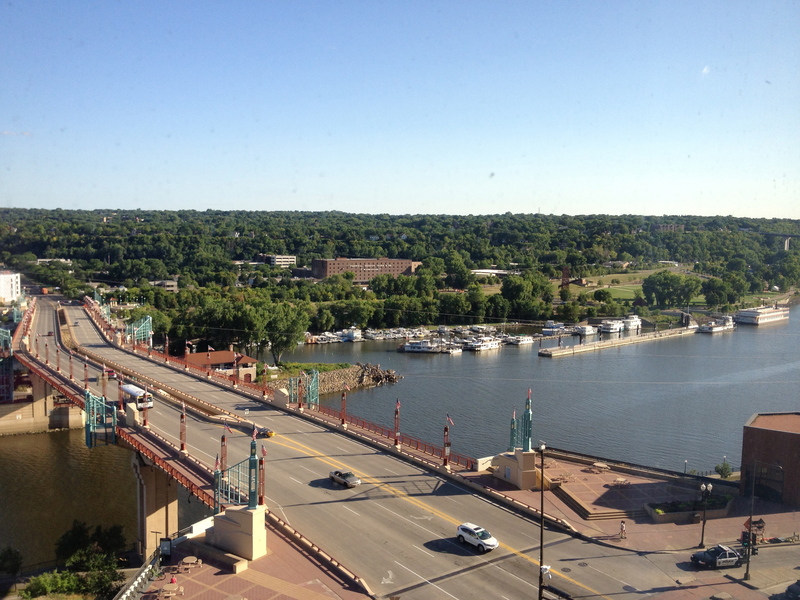 I walked back to the hotel and checked out our view of the Mississippi River and Harriet Island. Hotel room view. I am an amazing photographer. After supper we went back to the hotel to relax and I could get ready for the morning. I never ever run a race with my phone, so consider this a treat that you actually get a picture of a starting line. 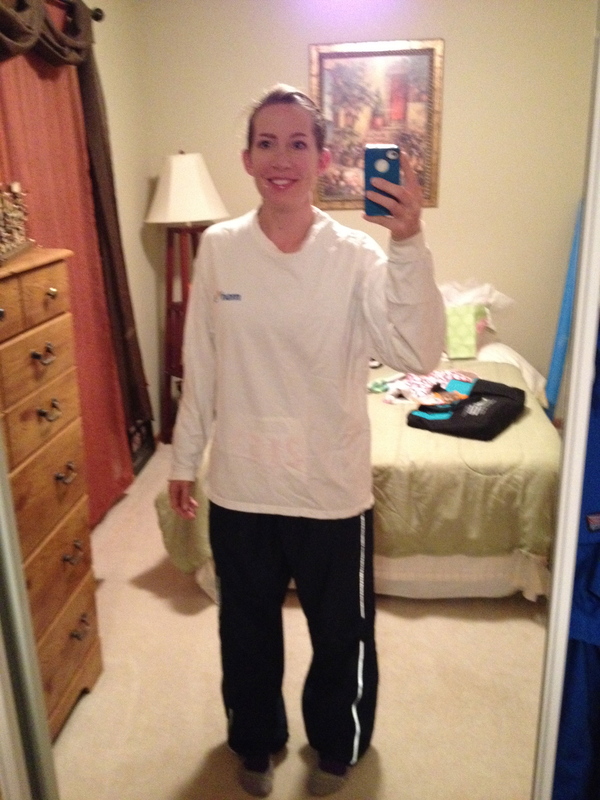 I should tell you why I do not run with my phone except when I’m on a long run in BFE…this girl sweats. A.LOT. Like so much that I have actually ruined iPods due to moisture from my sweatiness. I do no need to ruin my phone due to me being a Sweaty Betty. However, during this race I made an exception for three reasons. First, I decided to run with my handheld water bottle and I had a place to store the phone (which is also a first during a race). Second, it was HOT. The start wasn’t bad, but my mile 8 and full sun, it was hot. I figured IF something were to happen to me or I wasn’t able to finish or crawl to the finish, I could call Hubs. Or 911. Whichever was appropriate. Lastly, there wasn’t really a great way to find Hubs afterwards so if I needed to call him, I could’ve. 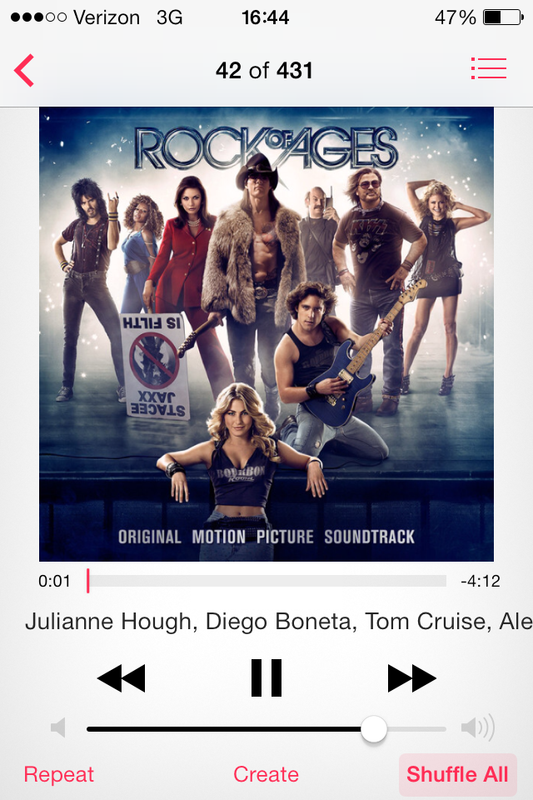 Anyhow…moving on. Official time was 1:53:14. Yikes. Look at those splits!! Way to positive split like a pro! However I reached both goals and finished. 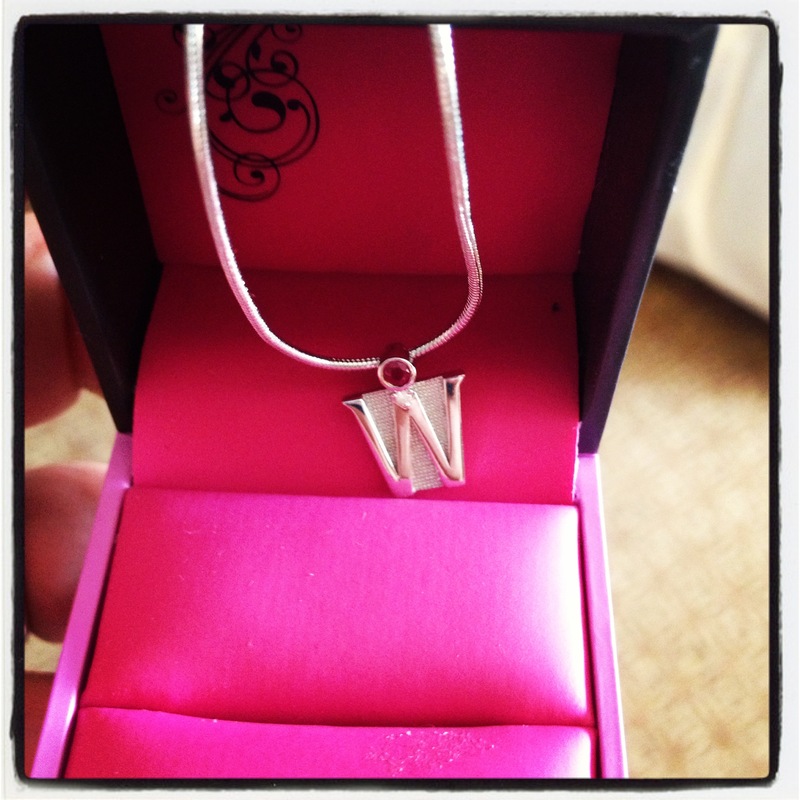 And, I got handed the necklace above by a spicy, shirtless young man. Since it was two months ago, I can’t recall what went down mile by mile. Except I didn’t go down. Thankfully. All I know is that I was so glad to see the finish line. As far as how well the race was organized, I THINK (do not quote me as I really have no idea what I’m talking about) I read that this is only the 2nd year for the race. However, it is put on by Team Ortho, which also organizes a series of races in the Twin Cities area throughout the year. It wasn’t bad, but what do I know, I haven’t been to very many. The only thing I didn’t care for was the lack of water stops and volunteers at the water stops. They announced on their website they would have two extra stops, and I did not see them. I didn’t bag drop so I’m not sure how smoothly that went, but it looked well organized. The half marathoners were shuttled to the starting line, but the hike to the shuttles was a little far. However, it was a nice little warm up. There were plenty of porta johns and water at the start. Yes, I do have a plastic beer cup koozie. 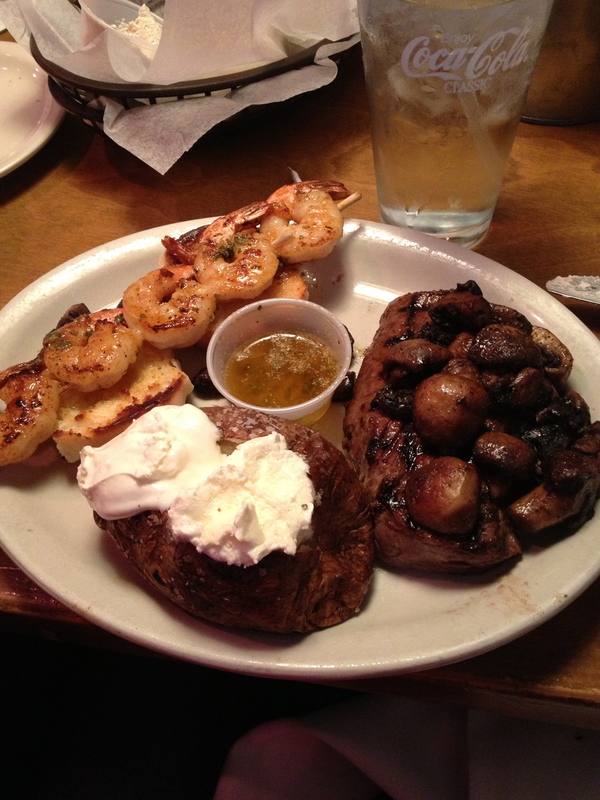 Be jealous. It’s amazing. 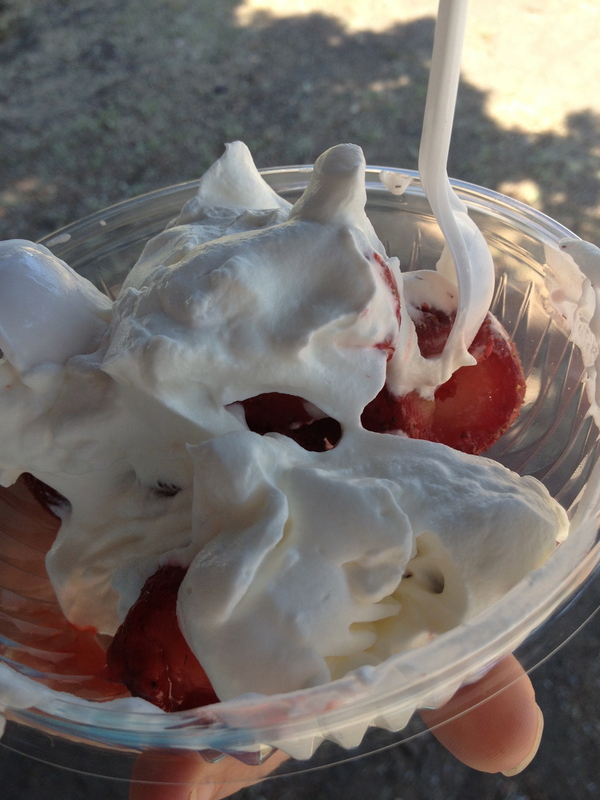 These strawberries and real cream are the whole reason I go to the fair. (That isn’t true, I go because Hubs goes every single year). But I do have to eat these every year. Except my cream was starting to melt before I could finish the strawberries. Lovely. But tasty. Very tasty. So, finally, a Women Rock half mary recap! Not my best time, but not my slowest. It was a fun atmosphere and next year I would love to make it a girls’ weekend!!! 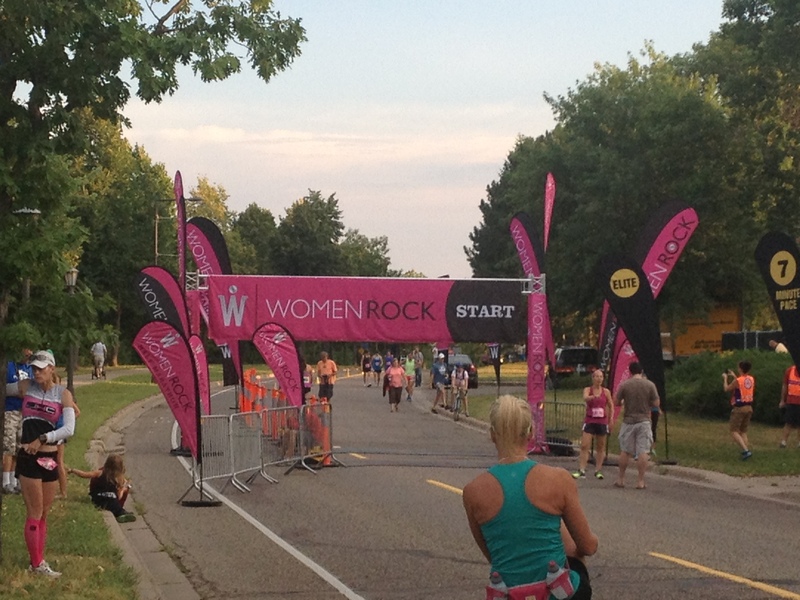 I believe we left off with I was about to run the Women Rock Half Mary on August 31st. Which I did! I didn’t die…although I won’t lie, there was a time or two I thought I wanted too. I will do a full recap when I get off my lazy bum and download some photos. 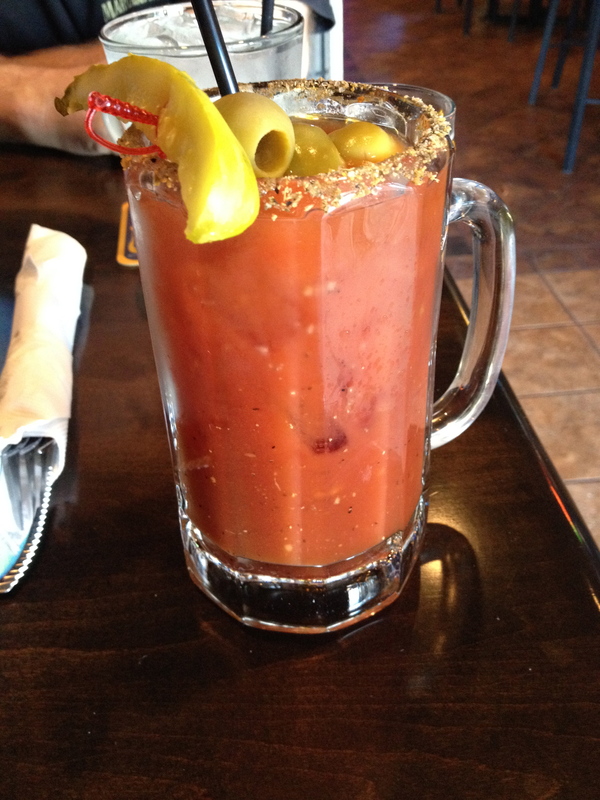 I will tell you, it was probably the hardest half mary I have done (with the exception of my very first one). There was a lot of self talk and mental battles for 13.1 miles. 1:53:14 later, I crossed that finish line, headed directly for the chocolate milk and food (um…which is ALWAYS the first place I go after a race. So if you ever run with me, and you look for me after I finish, chances are, this is where I will be). And TRY my damndest to NOT fall over. No guarantees though. I will tell you how that turns out. On this coming Sunday, weather permitting, I will be participating in the Mankato River Ramble 40 mile bike ride. It is a fun ride (I’m used to typing Fun Run…which is more fun because run rhythms with fun. What rhythms with ride?!!) No racing here, I just want to finish the miles. Lexa may have to get a new seat on Saturday. Since the current one hurts my girly parts 5 miles into every ride. Sorry…not happening for 40 miles. 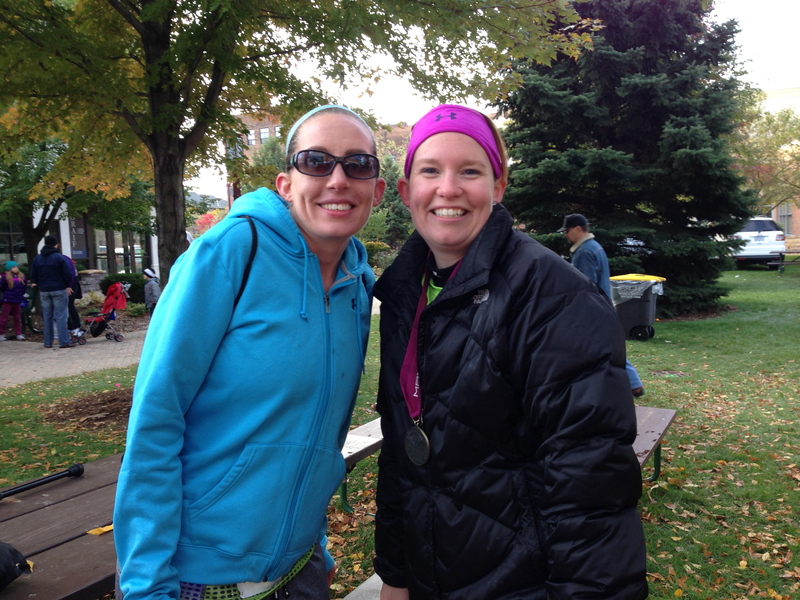 And….on October 20th, if you have nothing better to do, you can always cheer me and my sis on at the Mankato Half Mary!! This will be her very first half marathon. And…to be expected, she is nervous!! But I know she will do great! She will be running it with a friend of hers and I cannot wait to see them finish! I’ve run that course twice, and it is one of my favorites. It is a relatively new course (it is in its 4th year). I’m not sure if it’s a favorite because it’s close to home, or because it’s the first half I had under 2 hours, or if I just love the course. I also volunteered the 2nd year they had it. I was a bike medic on the final 3 miles of the course and it was so much fun to encourage runners at that point! Although I now know what most of them were saying as they ran away from me… The course is pretty. Especially in fall. Weather is kinda unpredictable (um…possible tornadoes tomorrow in our weather forecast. In October. Really? And I’m pretty sure a snow storm is on its way.) If you have not done this course, you really should. Because I say so. 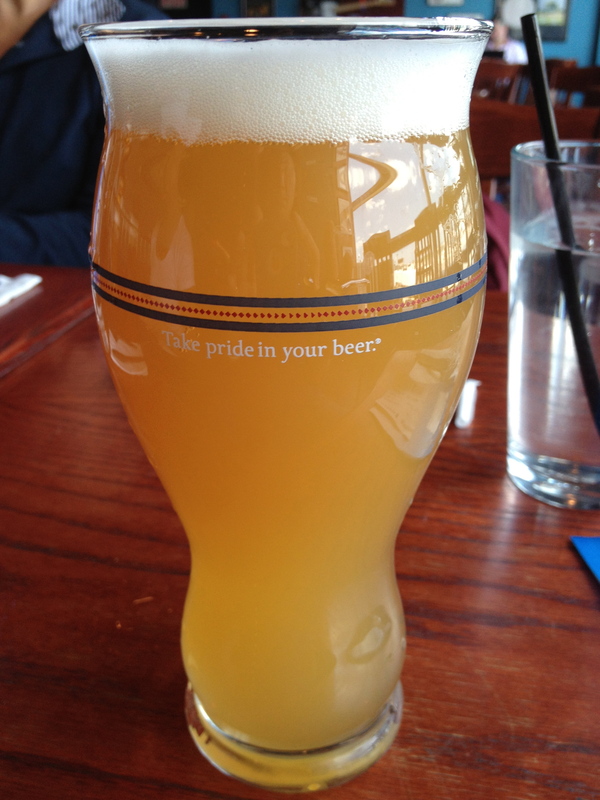 And because you can have really good celebratory beer afterwards. Believe it or not, I do not have anything on the calendar for running after the Mankato Half. I think I will be taking it easy the rest of the year. Resting my foot. And trying to get my running mojo back. I am going to focus on some strength training and yogaing. I will be running, just not as much. My goal is to get stronger and leaner so I can accomplish a BIG goal next year. Anywho….enough about me. What are your race plans for the rest of the year?? Are you setting any goals for next year? Hello!! 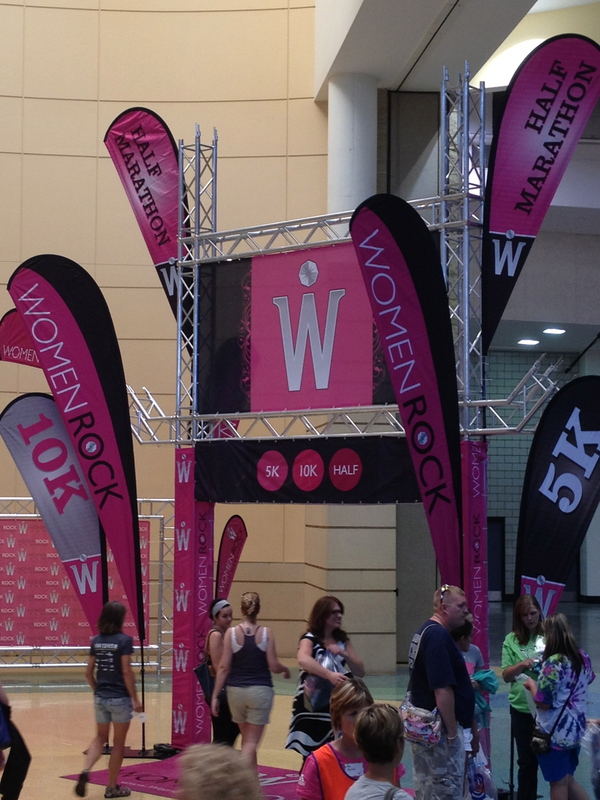 I just thought I would pop in and remind everyone that I am running the Women Rock Half Marathon this weekend!! We are in the middle of a lovely heat wave right now so I sure hope I don’t melt on Saturday morning. (I might melt. If I do, please note that I will actually be running a race with my Nathan handheld water bottle AND my phone. AND my ID. I NEVER run with them). 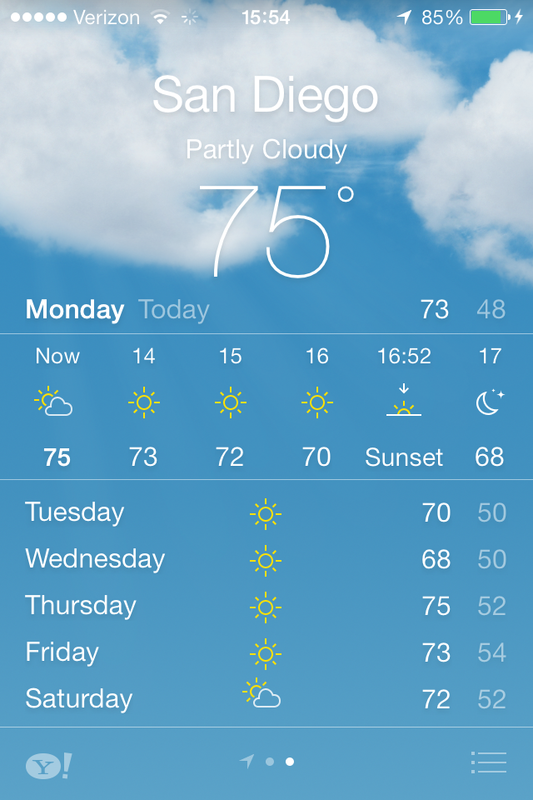 Please note: I am NOT complaining about this weather. I have not once complained about it simply because I promised myself earlier this year (um… after our 30,000th snow storm and we completely skipped spring and went right into summer) that I would not complain about the heat this summer. Well…ask me on Sunday if I said one word about the heat and humidity. 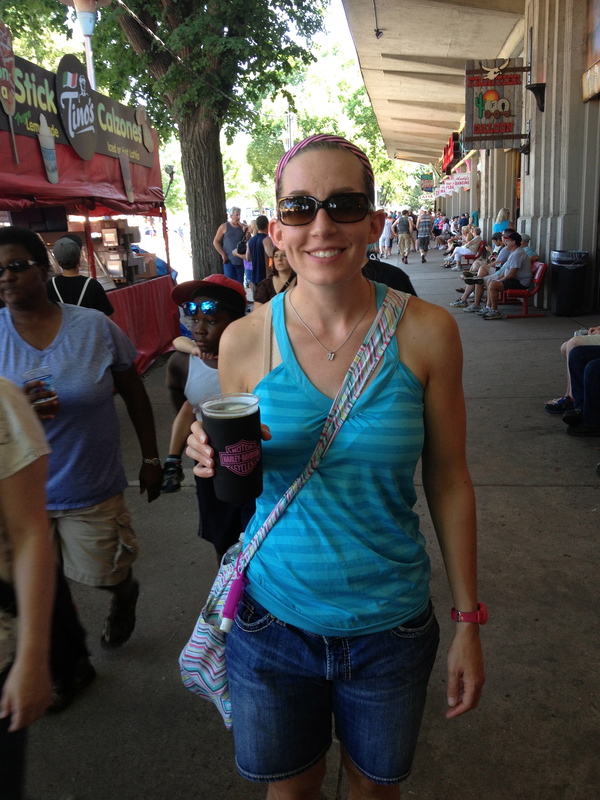 Simply because the race is Saturday morning and we are going to the Great MN Get Together aka…MN State Fair after the race. We are supposed to have about 80-90% humidity and the high for the day is 95F. I think I will wear my snow boots and parka swimsuit. Is it acceptable to wear moisture wicking, comfortable running clothes to a fair when its that hot and you’re surrounded by 200,000 other people? Seriously. I might. No matter what anyone tells me. Or if Hubs tells me it’s trashy. I foresee this as my rehydration plans for after the race. I need to replace the sodium right? Um ok…I will alternate. 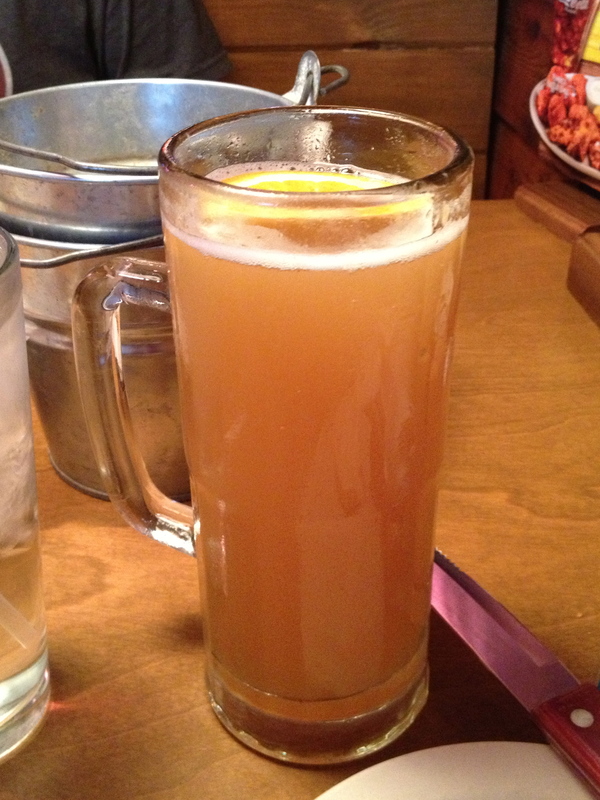 One beer. One water. 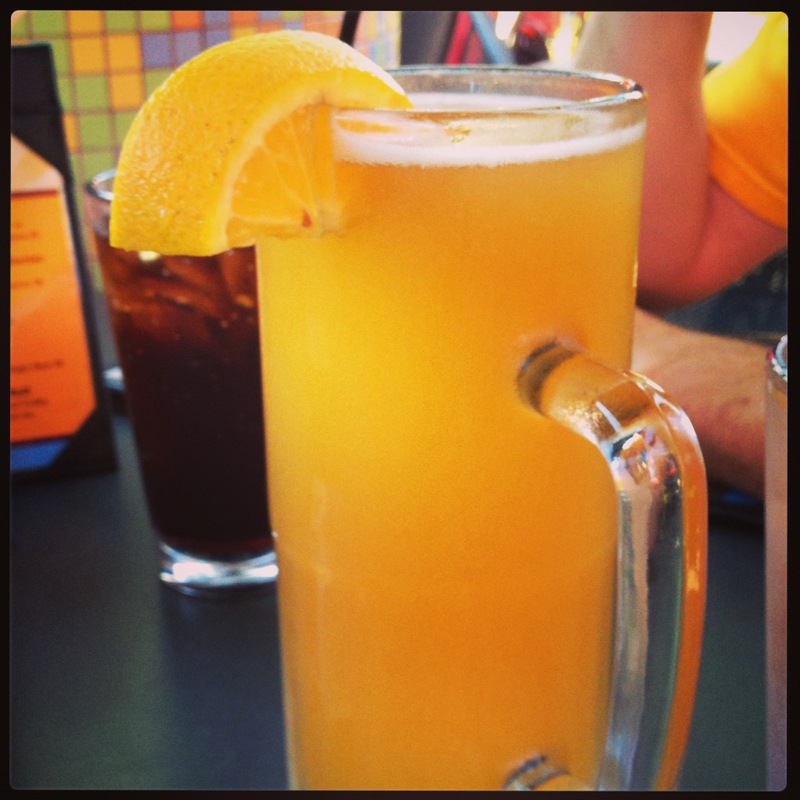 One beer. One water. At least I won’t feel guilty about consuming massive amounts of fair food. Good luck to everyone else racing this weekend and stay hydrated and healthy 🙂 If you are racing, where are you running?! 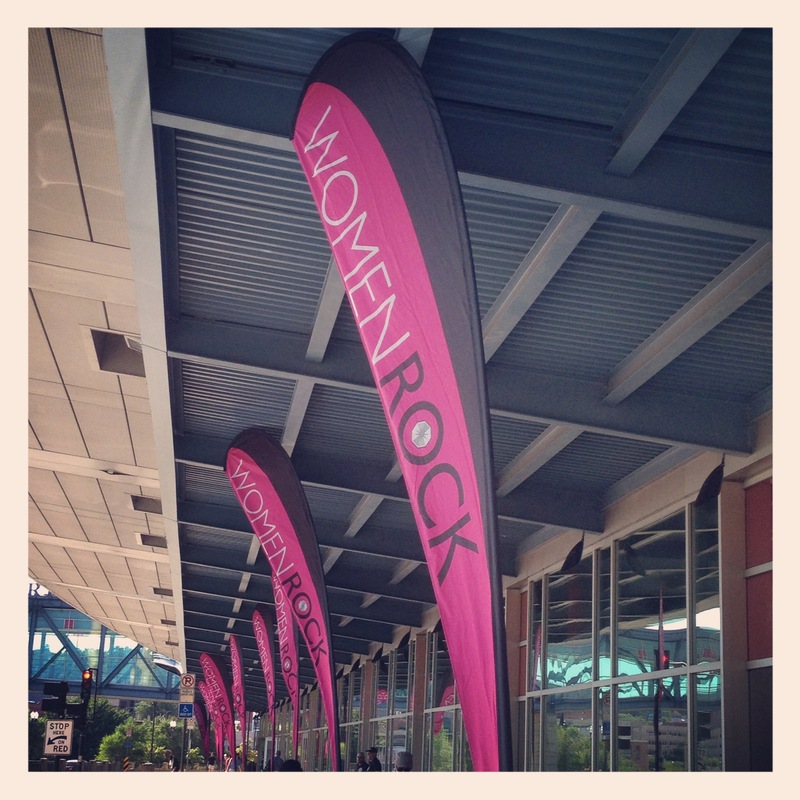 Will I see you at Women Rock??!! Not long after I put myself into a food coma I got my clothes ready for the morning and set my alarm clock. I slept great and woke up in time to shower, eat, drink a cup of coffee, and get a ride to the shuttle…in the.pouring.rain. Yikes. I knew there was a chance of rain so I was prepared with a garbage bag, visor, sunglasses, and my throw-away top. The good thing is once we got to the Fargodome we got to wait inside. Inside was a bathroom, and things went well, if ya know what I mean. I stretched really well and looked outside and it stopped raining! I headed towards the start line and to my surprise there was a Starbucks tent handing out free coffee. Yes please! I downed a cup and lined up with a pace group. A little out of my league, but I figured what the hell. I lined up with the 3:35 group. Meh. There was a moment of silence and then the National Anthem was sung, and we were off! I will tell you that the it was so inspiring to run with the 3:35 group for so long. It was motivating to hear everyone cheer “Go 3:35!!”. I just wondered how long would I be able to hang on to that pace. The course was flat and fast. The ONLY bad parts of the course were when we were running along a bike/running path, and there were cones in the middle splitting it into two lanes. We were only able to run 2 wide for a few miles. The first half of the race went really well. I felt great! I passed the half way point at 1:46 and I felt like I was starting to get really sore and wasn’t sure how much longer I could keep up with the pace group. Here is how the first half looked. At mile 14 my quads were on fire. I knew that I needed to slow down and just run my own race. I still knew that I had made up enough time the first half that I would still come in under 4 hours. If everything went well that is. The clouds started to disappear, the sun came out and it was starting to get warm. I did ok until about mile 19. I knew I had slowed down, but at about 19.5 my left inner quad stopped me. Stabbing, throbbing pain. I stopped and tried to massage it out. I just.kept.going. I did my own little walk/run the whole last 10k of the race. The last 10K shows that I was in pain. My overall official time was 3:51:08. I made it under 4 hours and I feel great about it!! My feet were wet, I wanted so badly to take my shoes and socks off and run barefoot. My shirt was drenched, I was drenched. But it was all GOOD sweat. I took off 25 minutes from my first marathon time. I could not be happier about it!! I didn’t have to visit a port-a-potty once, I hydrated well, I fueled well, and I recovered well! The only bad thing from the whole race…I may have put myself on the bring of I (injury…the only time you will see this word here…otherwise referred to as “I”). My left foot is painful to walk on. It’s ok when I rest, it’s not painful to the touch, but it’s very painful to walk on. SO…I’m giving it a few days of rest. If I don’t feel any relief, I will go get it checked out. Promise. Overall I really liked this course and the marathon. There was amazing course support and I think the organizers did a great job from start to finish. Like I said earlier, the only thing I didn’t like was that bike path issue that I mentioned earlier. All of the volunteers were great and there were plenty of them! Never once did I feel like I would get off course or go thirsty. Everyone was so supportive and happy to be there! Did anyone else run or race this weekend??!! !